During a recent field trip to Mexico City, Jorge Martins presented the Regional Technology Foresight project and discussed how the combination of emerging industrial technologies can reinvent products and services, promote innovative business models and accelerate enterprise-wide growth. At the Instituto Politecnico Nacional’s Interdisciplinary Professional Unit of Engineering and Social and Administrative Sciences (UPPICSA), Jorge discussed how firms, especially small and medium-size manufacturing firms, face multiple challenges in the adoption of novel industrial technologies. In order to build and sustain a lead in the race to exploitation of the opportunities, firms need to broaden and deepen their knowledge about digital technologies and then develop tailored digital manufacturing strategies. At the National Autonomous University of Mexico’s Library and Information Research Institute (IIBI), Jorge presented on 'Technology foresight for a future-oriented industry'. The keynote outlined how the rise of new digital industrial technologies will increase productivity, change the profile of workforce, foster industrial growth and increase the competitiveness of firms and regions through greater emphasis on personalised products and services. The Information School initiated a strategy around Global Challenges Research Fund (GCRF) funding in 2018-2019 and appointed a member of academic staff (Pamela Abbott) as a GCRF lead to champion this stream of funding and raise awareness about its potential for the school as a whole. To achieve this end, three GCRF awareness-raising briefings were held in the school and faculty were encouraged to align some of their research ideas around this potentially lucrative and long-term funding scheme. Several members of staff subsequently joined the GCRF collaborative network in the university and some also joined the Digital Technologies, Data and Innovation (DDI) theme of Sheffield Institute for International Development (SIID) to further engage with at least one theme relevant to the school and to GCRF – ICTs for Development (ICT4D). As a result of these initiatives, the school can now claim some success in the last two rounds of GCRF QR (Quality Research) pump-priming awards, having won 4 out of 5 submitted proposals and having been actively involved in other GCRF QR funding calls such as the announcement for the recent post-doctoral fellowships. More capacity-building work is planned for the school around these initial activities and work is being done to further support larger grant bids around the themes relevant to GCRF. The school envisages becoming a leader in the university in research around Information and Development and in being able to promote this globally through the iSchool networks and publication outlets. 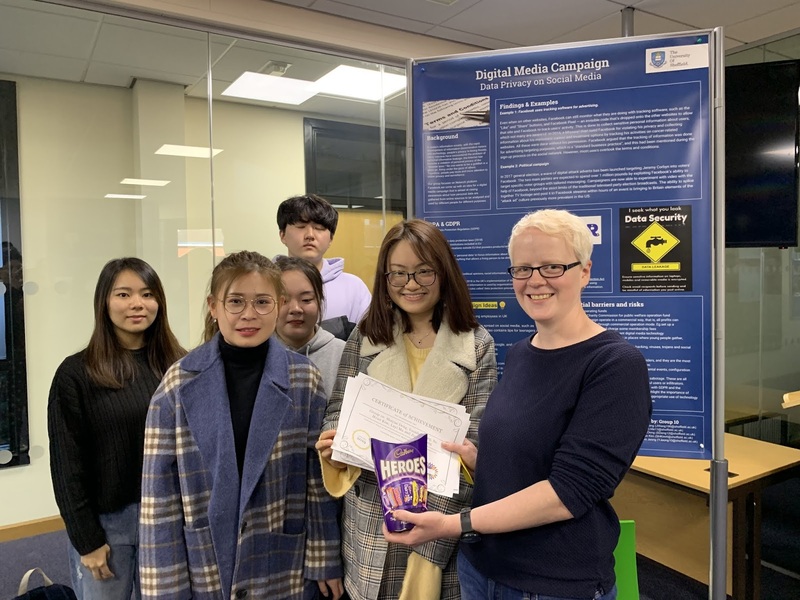 The iSchool will have a strong presence at LILAC 2019, the UK’s annual information literacy conference, held this year 24-26 April in Nottingham, UK. We are a conference sponsor, and are looking forward to meeting up with current students, alumni and other visitors on our exhibition stand. During conference breaks Dr Pam McKinney and current students Elle Codling and Danielle Czerkaszyn will be happy to chat with you about our courses and research. We would love to catch up with any Information School students or alumni who are at the conference so do come and introduce yourselves! We are also leading two conference sessions. On Thursday 25th, Sheila Webber and Pam McKinney (pictured) are running a workshop: What's my approach? Deciding on the approach to use for your research. Sheila said “There’s increasing interest from practitioners in carrying out research in the workplace, to improve practice and inform decisions. Before starting the project it’s a good idea to step back and think about whether the approach you are taking is the best one for the job. We ran a similar workshop successfully at the European information literacy conference (ECIL) in Finland last year, and it’s great to get the chance to deliver it at LILAC”. 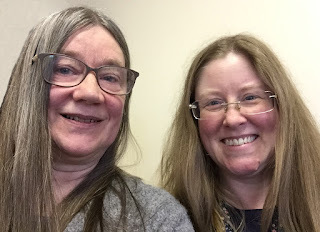 Pam and Sheila will also be liveblogging the conference on the Information Literacy Weblog, with the blog posts tweeted to @sheilayoshikawa and using the conference hashtag. As a taster, these are their posts from last year's LILAC! Andrew Cox and Jorge Martins were in Mexico City last week, working with Information School alumni, Gibran Rivera (of the Instituto Politécnico Nacional), on an exciting joint project to explore how knowledge can be shared in the context of cultural sustainability. The project investigates the creation of knowledge sharing experiences between eco-friendly social enterprises in Mexico and Sheffield. 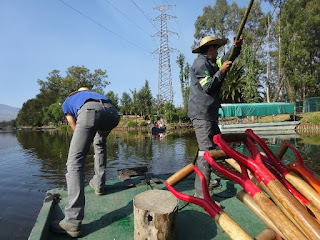 In one part of the trip Andrew and Jorge participated in a tree planting expedition, organised by Chinamapoylo, a co-op dedicated to sustainable food production in the unique environment of the chinampas, on the edge of Mexico City. 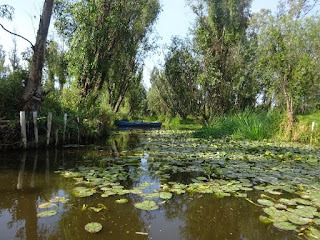 The chinampas are a highly productive form of agricultural production based on strips of land reclaimed from the lake in a practice that has survived from pre-hispanic times. 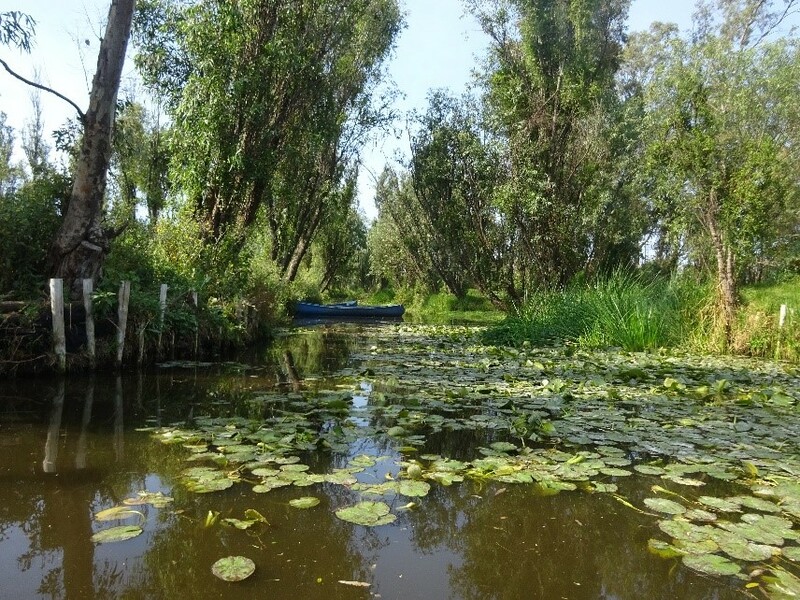 They are now under threat from pollution, mass tourism and urban encroachment by the megalopolis of Mexico City. 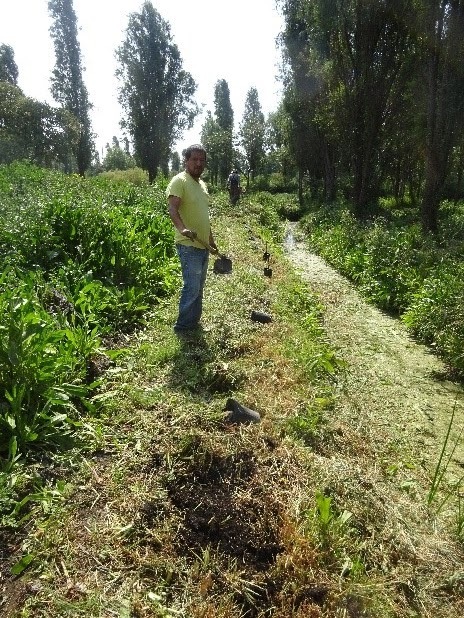 The ahuejote trees (a kind of willow) they were participating in planting are a traditional part of the chinampas agriculture and growing along the canal banks protect them from erosion and also act as a wind break. Well established trees lining the chinampas. Later in the summer, it is hoped a representative of Chinampayolo will accompany Gibran to visit Sheffield. You can find out more about Chinampayolo through this video. Dr Martins also presented his Regional Technology Foresight project at the universities of IPN and UNAM. 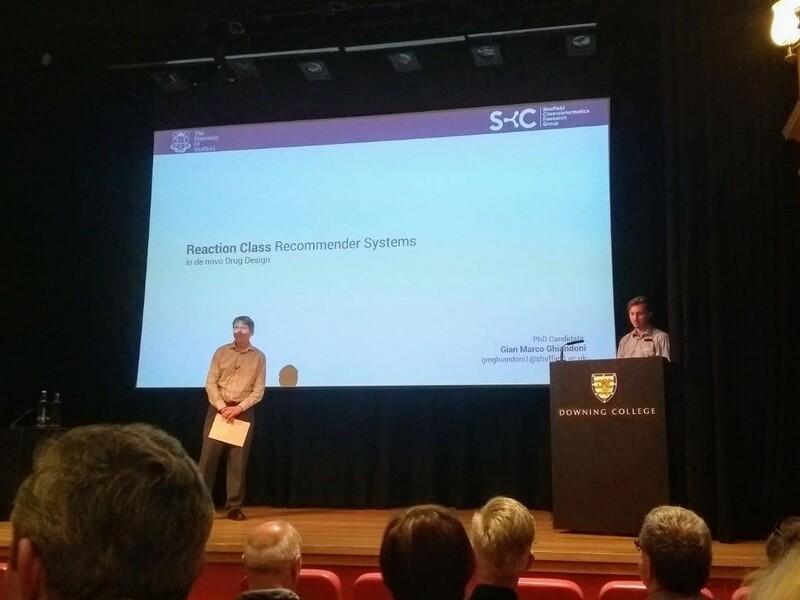 Gianmarco Ghiandoni, PhD student in our Chemoinformatics research group, recently attended and presented at the UK-QSAR conference in Cambridge. Gianmarco attended the conference and presented a part of his PhD project, which involves the development of "Reaction Class Recommender Systems in de novo Drug Design". Later today, Sheila Webber will be contributing to a compass point session, Nonprofit Commons past reflections, future directions, at the 12th Virtual Worlds Best Practices in Education Conference, taking place 4-6 April 2019 in the 3D virtual world, Second Life. She was invited onto the panel as Leader of the Virtual Worlds Education Roundtable, a weekly educators discussion forum that has been running for 10 years. The other panellists are Dr. Cynthia Calongne (Professor with Colorado Technical University); Joyce Bettencourt (co-founder of AvaCon, Inc., a nonprofit dedicated to promoting the growth and development of 3D immersive spaces, and Creative Director of The Vesuvius Group); Renne Emiko Brock, Multimedia Communications Program Coordinator at Peninsula College, teacher and artist; and Buffy Beale, retired educational technology expert, and representing Bridges for Women, a Canadian nonprofit. 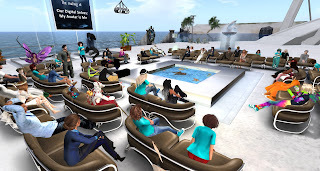 The session takes place 6pm to 7pm UK time, at https://maps.secondlife.com/secondlife/VWBPE%20Central%202/6/196/26 (you need the Second Life browser and a Second Life avatar to participate: conference attendance is free). 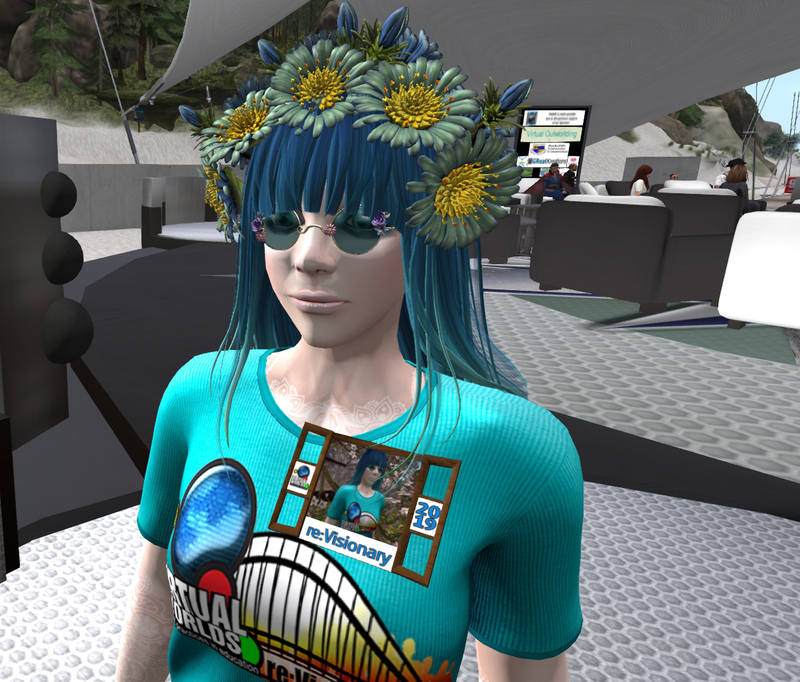 Sheila (in the person of her avatar, Sheila Yoshikawa) is shown above wearing her conference t-shirt and badge yesterday, in the venue where her session will take place. Sheila said "This is a great conference, with educators joining it from around the world. 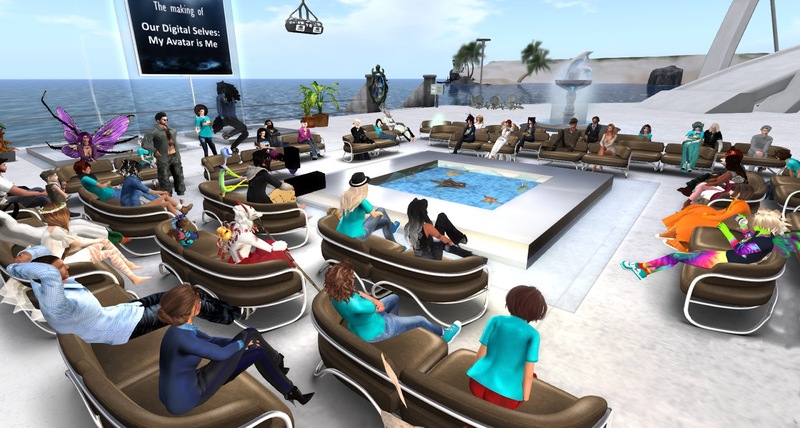 The educator community in virtual worlds is very supportive, and there are always good networking opportunities as well as interesting educational practice to learn from. 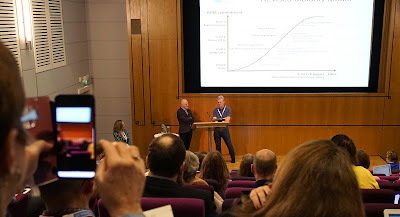 "My highlight yesterday (see the snap) was hearing Professor Tom Boellstorff (Department of Anthropology, University of California, Irvine) and German filmaker Bernhard Drax talk about the award-winning film the madey Our Digital Selves: My Avatar is me (free on Youtube https://youtu.be/GQw02-me0W4 (74 minutes). This "tells the story of 13 ability-diverse global citizens as they explore their identity through artistic expression and making a home for themselves in the VR Metaverse" and is a wonderful example of participative research in action." Paul Clough (Information School, University of Sheffield and Peak Indicators) co-presented with Helen Kennedy (Sociological Studies, University of Sheffield) at a Sheffield Solutions Lunchtime Seminar Series for the Department of Work and Pensions on Thursday 28th March. The lunchtime seminars bring together Academics, policy makers and practitioners to develop networks and better understand policy issues. 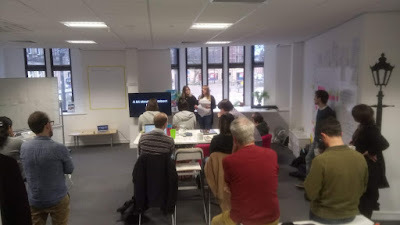 Paul and Helen discussed the implications of apps, digital services, smart devices, ‘datafication’ and social media platforms on issues in our everyday lives, such as gender, race, health, equality and public services. The seminar explored these issues and the ways they matter to government, DWP and citizens. 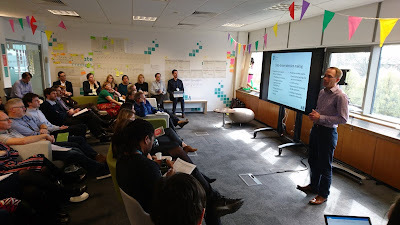 The focus of Paul and Helen’s presentation was around data-driven decision making and notions of fairness and transparency in an age of algorithmic bias. The seminar was well attended with around 40 participants, including members of the Senior Leadership team from DWP. Andrew Cox and Stephen Pinfield presented two pieces of recent work at the RLUK conference on the 22nd of March. RLUK is the organisation for research libraries in Britain and Ireland. The conference draws a large international audience from research libraries around the world. The conference presentation explored services to support research data management, based on an international survey of librarians. A video of Andrew and Stephen's talk can be viewed here. We have reaffirmed our position as a world-leading School for research and teaching in the QS World University Rankings by Subject 2019. We are ranked second in the World, and first in Europe, for Library and Information Management, reflecting our outstanding research and teaching, and following our success in the 2018 World University Rankings. The Information School has been at the forefront of developments in the information field for more than 50 years and has an international reputation for its high quality teaching and research. 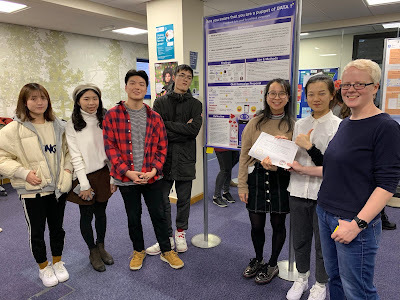 It achieved the highest possible grade in every one of the Research Assessment Exercise (RAE) evaluations of research quality in UK universities since these began in 1989, and in 2014 it was the top-rated department for its research environment with a score of 100%. Research in the School fundamentally explores the power of information in the digital world, and examines how people, organisations and society use information to shape and influence our increasingly dynamic and complex world. The QS World University Rankings by Subject rank the world’s top universities in individual subject areas, covering 48 subjects as of 2019. Evaluating over 1,200 universities across 78 countries, each of the subject rankings is compiled using insight from over 83,000 academics, over 42,000 employers and 150 million citations from 22 million academic papers. Overall, the University of Sheffield has been ranked as the 13th best institution in the UK and 75th in the world, a rise from the previous placing of 82nd. Experts from the iSchool present a free and open 30 minute webinar on Friday March 22nd 2019, 10.00-10.30 UK time (see here for times elsewhere in the world): Media and Information Literacy for Informed Citizens in the Digital Age. They will highlight the value of Media and Information Literacy (MIL) for citizens’ lives, and the contribution that information and library professionals can make to developing MIL. This celebrates the first European Media Literacy week, set up to recognise the societal importance of media literacy and promote media literacy initiatives and projects. Sheila Webber (Interim Co-Chair of the European Chapter of the Global Alliance for Partnerships in Media and Information Literacy, former Standing Committee member of IFLA's Information Literacy Section and Head of the iSchool's Libraries and Information Society Research Group) will chair the webinar. 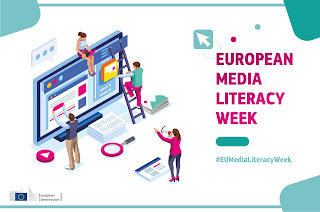 She'll give her perspective on the European Media Literacy conference held earlier in the week, and introduce UNESCO’s MIL CLICKS campaign (Media and Information Literacy: Critical-thinking, Creativity, Literacy, Intercultural, Citizenship, Knowledge and Sustainability). Dr Laura Sbaffi, Dr Pamela McKinney and Dr Sophie Rutter will provide insights into the value of MIL in areas such as evaluating health information and monitoring wellbeing through the lifecourse. They will also contribute perspectives gained through educating information and library professionals to support citizens’ MIL. At the seminar start time just go to https://sheffield.adobeconnect.com/european_media_literacy_week and you will get accepted into the seminar as a guest. A link to the recording will be made available after the session. Today, the 12th of March, marks 30 years since Sir Tim Berners-Lee submitted his proposal for the World Wide Web. In an interview for the BBC, Sir Berners-Lee said that global action is required to tackle the web's 'downward plunge to a dysfunctional future', especially in the wake of events like the Cambridge Analytica data scandal. In an open letter, Sir Berners-Lee also outlined three areas of 'dysfunction' that are harming the web today, encompassing areas like hacking and clickbait. "There have been numerous cases throughout history where technologies are not used for the purposes they were originally intended . Indeed the underlying infrastructure of the Web - the Internet - was originally a military experiment conducted in the context of the Cold War that now forms the backbone of communications within every industry and underpins the activities of individuals going about their daily lives. Factors shaping the way in which the intended use of technologies change go far beyond merely technological, to political, ideological, social and economic . The Web is a socio-technical phenomenon; a synergy between technology and people; a living and evolving organism that is created, shaped and used by human interactions. There is no doubt that the Web has provided many opportunities and provided much good, but is it surprising that it also captures and reflects the brokenness of our world? That the Web needs to be regulated on the one-hand but allow for freedom of speech on the other will likely continue to challenge Tim Berners-Lee and users of the Web more generally in the foreseeable future. " Head of School Professor Peter Bath and Research Associate Dr Sarah Hargreaves recently wrote an article for The House, Parliament's weekly publication which is distributed to every MP and Peer in Westminster. The House is apolitical and answerable to a cross-Party editorial board. It carries exclusive high profile interviews, unique articles from Parliamentarians and policy information. Professor Bath and Dr Hargreaves wrote an article about their Space for Sharing project, including their new information sheets and the play that has been developed. The publication was distributed today, 11th March. You can read this week's issue here, and the Space for Sharing article here. Data Science knowledge provides you with a set of skills that is very much in demand by large and small organisations, and can land you a lucrative job. However, it does not need to be all about the money. There are also opportunities to use these skills to help other people. One such opportunity is provided by the group Sheffield Data For Good. They recently organised a data hack to help Roundabout, a Sheffield charity that tackles youth homelessness, and have already scheduled a second event for the 9th of March. I found the experience great. We were all using different tools and techniques, which taught me many useful things. 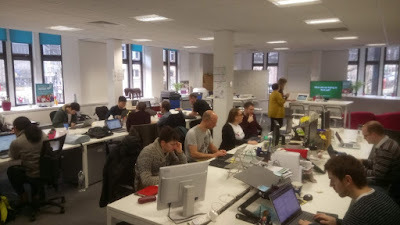 We did three one hour coding sprints, coming back to discuss what we have found and what we could do on the next round. My research background is in chemistry and computer science, so this was the first time I worked on personal data. It was a big challenge, and I will not complain as much about chemical data going forward! A couple of weeks ago I travelled to Atlanta, USA to attend ACM FAT* - an interdisciplinary conference that addresses issues of Fairness, Accountability and Transparency in Machine Learning. Officially, I was there on the hunt for potential papers and authors to invite to submit their work to Online Information Review. 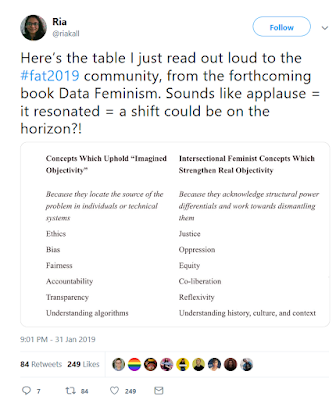 However, the FAT* field is also closely related to my research interests around the politics of data and algorithms, and my teaching on the Information School’s MSc Data Science. I was keen to check out what was happening in the FAT* community, and feed my findings back into my teaching and into two new projects I am working on in this field: CYCAT & supervising a new PhD student – Ruth Beresford – whose research will investigate algorithmic bias in collaboration with the Department for Work and Pensions. 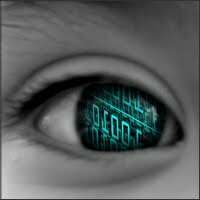 Framing: The authors begin by critiquing the ‘algorithmic framing’ common in data science. In such an abstraction, the focus of the data/computer scientist is simply on evaluating, for example, whether the model has high accuracy. They point out that such a framing is ineffective for addressing issues of bias and fairness. 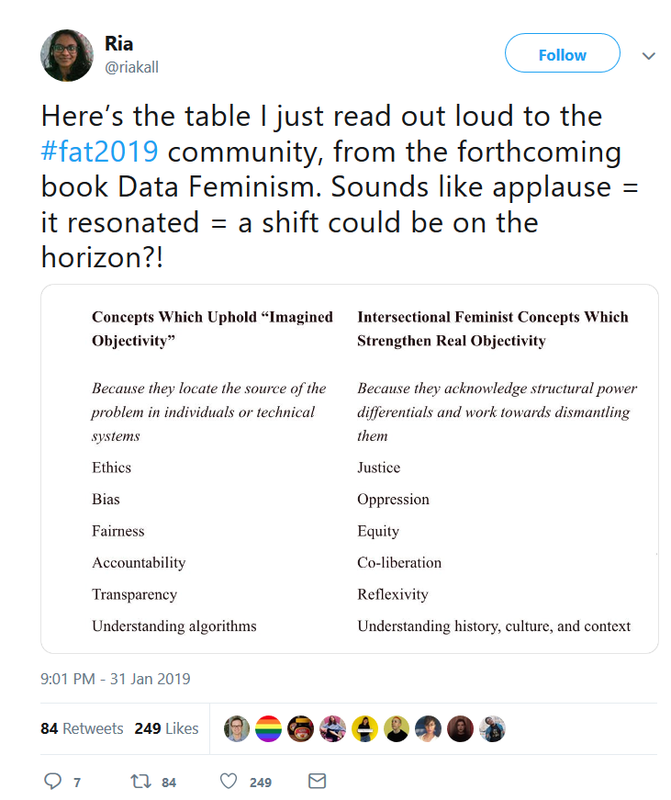 Expanding this algorithmic framing to a ‘data frame’ which also involves interrogating directly the data inputs and outputs for issues of bias and fairness, can address some of these issues, but also has its limitations. Instead they advocate data scientists adopting a socio-technical framing which explicitly recognises that any ML model is part of a socio-technical system – and we need to move all the decisions made by humans and human institutions into the abstraction boundary. I couldn’t agree more! Formalism: This is an important ‘trap’ for computer scientists and mathematicians to be aware of. It relates to the failure to account for the complexity of social concepts such as fairness, bias etc. The meaning of such concepts is contextual and contestable – they cannot be reduced to mathematical formalisms! The Ripple Effect: This ‘trap’ points to the lack of awareness that when technical solutions are embedded into existing social systems, they can impact upon the behaviours and values of those in the social system – often in unexpected ways. Portability: This ‘trap’ relates to the problems inherent in repurposing algorithmic solutions from one social context to another – and the inevitable problems of inaccuracy, misleading results, and potential for harm. Solutionism: And, finally - the simple observation that technologists often fail to recognise that the best solution to a problem may not involve any technology! Putting some of these ideas into practice was my second favourite paper – which also won the prize for best technical and interdisciplinary paper - Disparate Interactions: An Algorithm-in-the-Loop Analysis of Fairness in Risk Assessments (Green and Chen, 2019). With a focus on risk assessments being used in the US criminal justice system, the authors argue that given risk assessment tools do not actually make decisions, but are used to inform judges’ decisions, it is important to understand how people actually interpret and use the outputs of these tools. Their study is based on an experiment involving Amazon Mechanical Turk workers – rather than actual judges – however, their findings are concerning. They found their participants under-performed the risk assessment tool even when presented with the prediction of the tool; they were unable to effectively evaluate the accuracy of their own decisions or those of the tool; and, most concerning they exhibited biased interaction with the tool’s prediction whereby use of risk assessments in decision making led to participants making higher risk predictions for black defendants and lower risk predictions for white defendants. Clearly, these findings need examining ‘in the wild’, but they are concerning, and evidence the importance of a socio-technical framing as called for by Selbst et al. Pratyusha’s observations reflect many of my own – and others in the Critical Data Studies space - concerns about what it means to work across disciplinary boundaries in this field, and the politics of engaging in such work with people who may have very different agendas, assumptions, and understandings about what is at stake. It can sometimes be difficult to know how best to navigate these tensions – but it feels like 2019 could be an important moment for shaping the direction of the field. From 14th to 25th January Dr Jorge Martins is visiting the Finland Futures Research Centre at the Turku School of Economics, University of Turku, Finland. Jorge is hosted by Professor Markku Wilenius, who is an Advisor to the ESRC-funded Regional Technology Foresight project. Markku is Professor of Futures Studies and UNESCO Chair in Learning Society and Futures of Education. Jorge’s visit to the Finland Futures Research Centre will strengthen collaboration and knowledge exchange on a number of key areas of research: methodological approaches to foresight studies, organisational futures, industry 4.0 and smart specialisation. Knowledge collaboration routines at the organisation-region boundary: a Community of Practice approach – at the Turku School of Economics.